Experiencing trauma is quite common. It has been estimated that 60% of men and 50% of women will experience a significant traumatic event during their lifetime. But, only a fraction will develop Post-Traumatic Stress Disorder (PTSD). But this still results in a frightening number of people with 7%-8% of the population developing PTSD at some point in their life. For military personnel, it’s much more likely for PTSD to develop with about 11% – 20% of those who have served in a war zone developing PTSD. Obviously, these are troubling symptoms that need to be addressed. There are a number of therapies that have been developed to treat PTSD. One of which, mindfulness training has been found to be particularly effective. Mindfulness Based Stress Reduction (MBSR) has been found to improve PTSD symptoms. MBSR involves a combination of mindfulness practices including, meditation, body scan, and yoga. In today’s Research News article “A Pilot Study of the Effects of Mindfulness-Based Stress Reduction on Post-traumatic Stress Disorder Symptoms and Brain Response to Traumatic Reminders of Combat in Operation Enduring Freedom/Operation Iraqi Freedom Combat Veterans with Post-traumatic Stress Disorder.” See summary below or view the full text of the study at: https://www.ncbi.nlm.nih.gov/pmc/articles/PMC5574875/, Bremner and colleagues examine the effectiveness of Mindfulness Based Stress Reduction (MBSR) for the treatment of PTSD in combat veterans. They recruited combat veterans from the wars in Iraq and randomly assigned them to receive either an 8-week program of Mindfulness Based Stress Reduction (MBSR) or Present-Centered Group Therapy (PCGT). PCGT involved 8-weeks of psycho-education and group discussion of present day problems. They were measured before and after treatment and 6 months later for PTSD symptoms, psychiatric issues, mindfulness, and spiritual well-being. The veterans also underwent a Positron Emission Tomography (PET) brain scan while viewing pictures of the Iraq war or neutral pictures. They found that MBSR, but not the control PCGT condition, produced significant reductions in PTSD symptoms, particularly avoidance and hyperarousal, and increases in mindfulness that were maintained even 6-months after the end of treatment. All of the veterans showed increased activation in frontal and temporal cortical regions and decreased activation in subcortical areas when viewing combat related pictures. After MBSR, in comparison to baseline and the control group, the veterans had significantly increased activation of the anterior cingulate and inferior parietal cortex, and decreased activation in the insula and precuneus. Activation of the anterior cingulate cortex is associated with improved emotion regulation and has been previously associated with relief of trauma symptoms while decreased activity in the insula has been associated with decreases in hyperarousal. The results of this pilot study are interesting and potentially important. The study is unusual in that it had an active control condition that improves the strength of the conclusions. The results demonstrate that Mindfulness Based Stress Reduction (MBSR) produces lasting improvements in PTSD symptoms in combat veterans. They also show that MBSR produces changes in the nervous system areas that may underlie the symptoms. Hence, MBSR appears to be a safe and effective treatment of Post-Traumatic Stress Disorder (PTSD) that can relieve the suffering resulting from trauma. So, improve post-traumatic stress disorder in combat veterans with mindfulness. Brain imaging studies in patients with post-traumatic stress disorder (PTSD) have implicated a circuitry of brain regions including the medial prefrontal cortex, amygdala, hippocampus, parietal cortex, and insula. Pharmacological treatment studies have shown a reversal of medial prefrontal deficits in response to traumatic reminders. Mindfulness-based stress reduction (MBSR) is a promising non-pharmacologic approach to the treatment of anxiety and pain disorders. The purpose of this study was to assess the effects of MBSR on PTSD symptoms and brain response to traumatic reminders measured with positron-emission tomography (PET) in Operation Enduring Freedom/Operation Iraqi Freedom (OEF/OIF) combat veterans with PTSD. We hypothesized that MBSR would show increased prefrontal response to stress and improved PTSD symptoms in veterans with PTSD. Twenty-six OEF/OIF combat veterans with PTSD who had recently returned from a combat zone were block randomized to receive eight sessions of MBSR or present-centered group therapy (PCGT). PTSD patients underwent assessment of PTSD symptoms with the Clinician-Administered PTSD Scale (CAPS), mindfulness with the Five Factor Mindfulness Questionnaire (FFMQ) and brain imaging using PET in conjunction with exposure to neutral and Iraq combat-related slides and sound before and after treatment. Nine patients in the MBSR group and 8 in the PCGT group completed all study procedures. Post-traumatic stress disorder patients treated with MBSR (but not PCGT) had an improvement in PTSD symptoms measured with the CAPS that persisted for 6 months after treatment. MBSR also resulted in an increase in mindfulness measured with the FFMQ. MBSR-treated patients had increased anterior cingulate and inferior parietal lobule and decreased insula and precuneus function in response to traumatic reminders compared to the PCGT group. 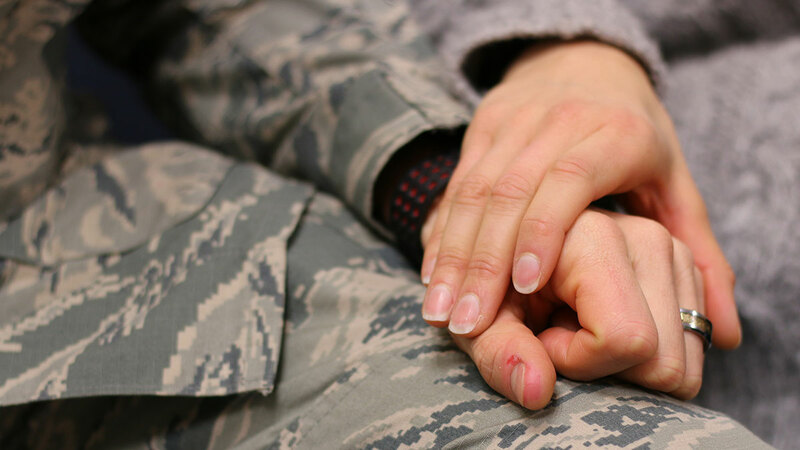 This study shows that MBSR is a safe and effective treatment for PTSD. Furthermore, MBSR treatment is associated with changes in brain regions that have been implicated in PTSD and are involved in extinction of fear responses to traumatic memories as well as regulation of the stress response.